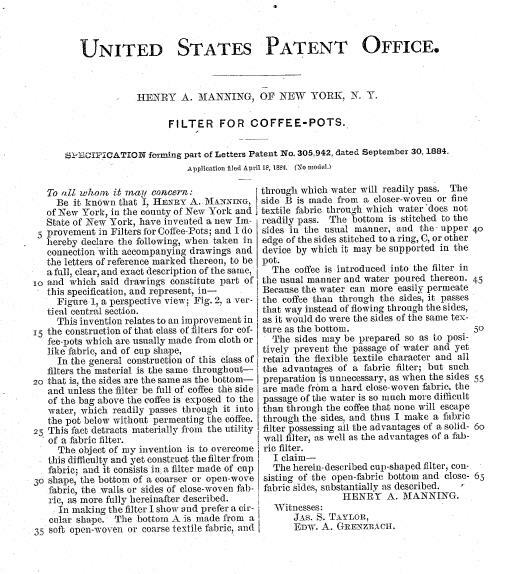 U.S. patent 35,457 issued June 3rd 1862, was the first patent issued to Manning Bowman. 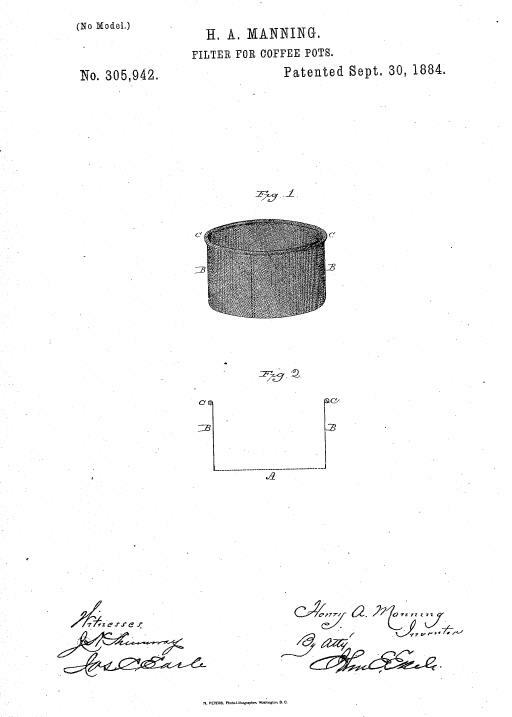 This patent covered the attachment of the lower bottom, which could withstand heat, and how-to affix this bottom to Britannia metal. 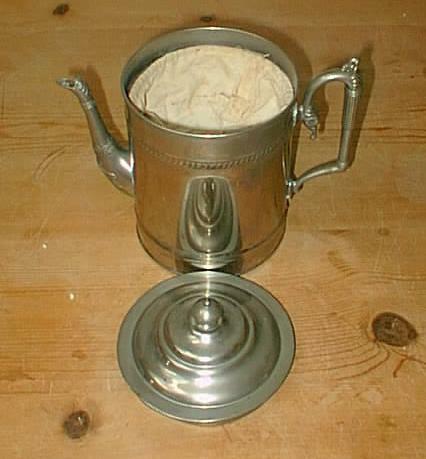 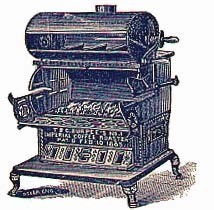 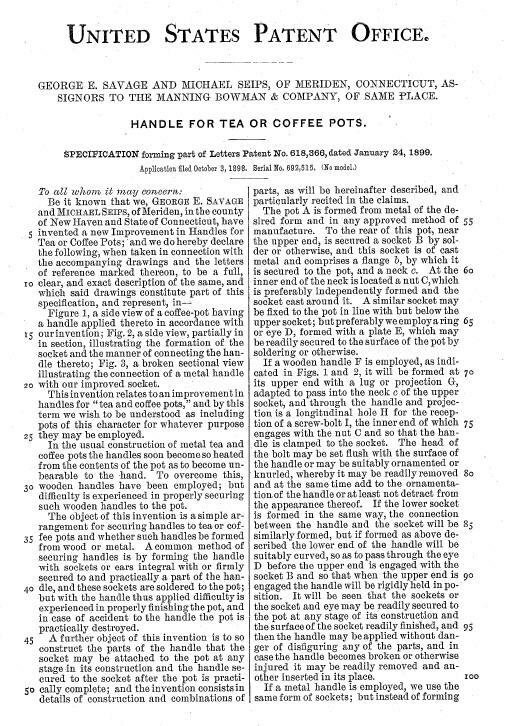 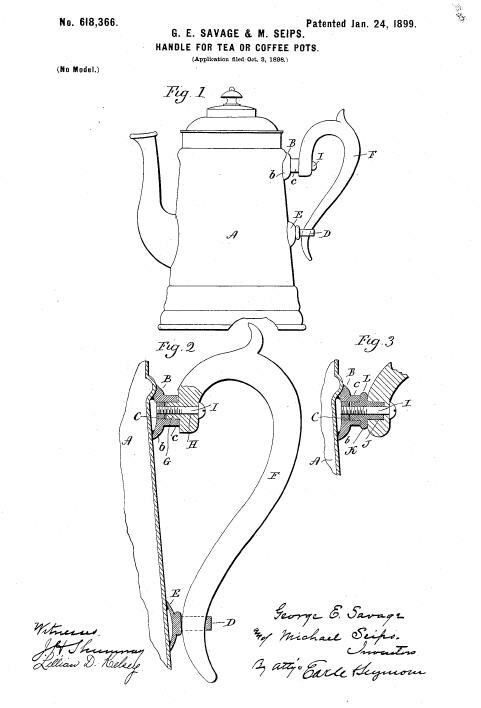 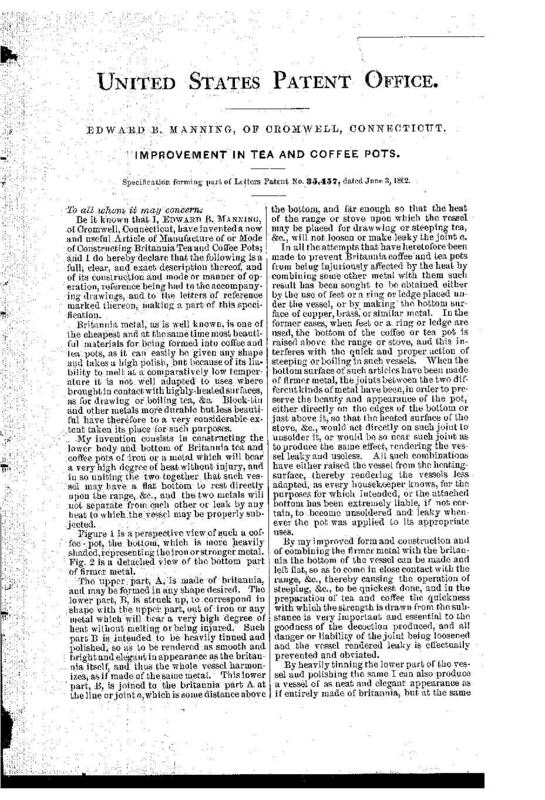 United States Patent 305,942 granted on September 30th 1884 was for the Manning Bowman Good Morning Coffee Pot. 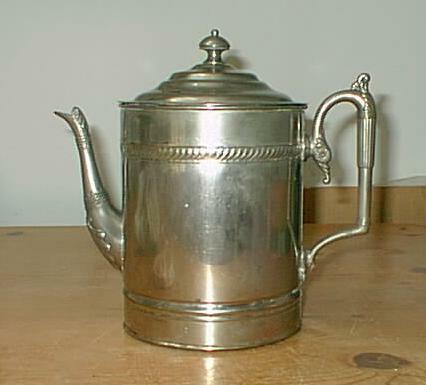 This was essentially a drip coffee pot that was so popular it was sold into the 20th Century. 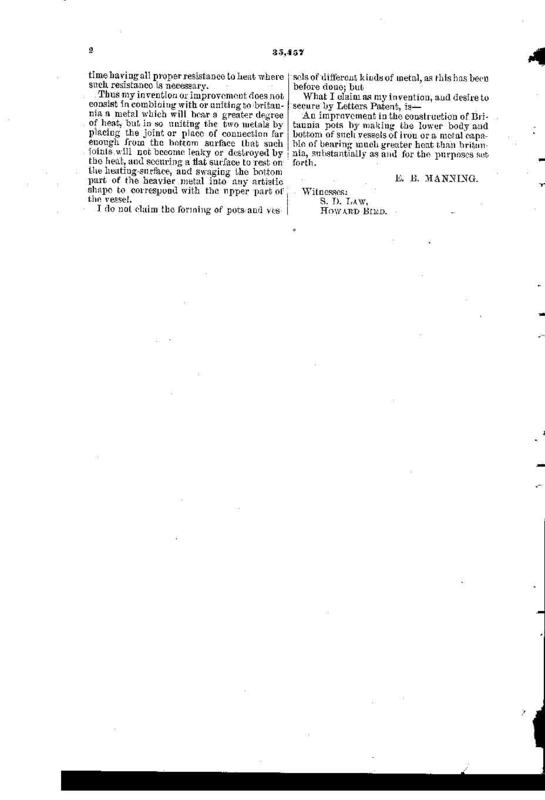 The U.S. patent that is mentioned the most frequently is U.S. patent 618,388 issued on January 24th 1899. 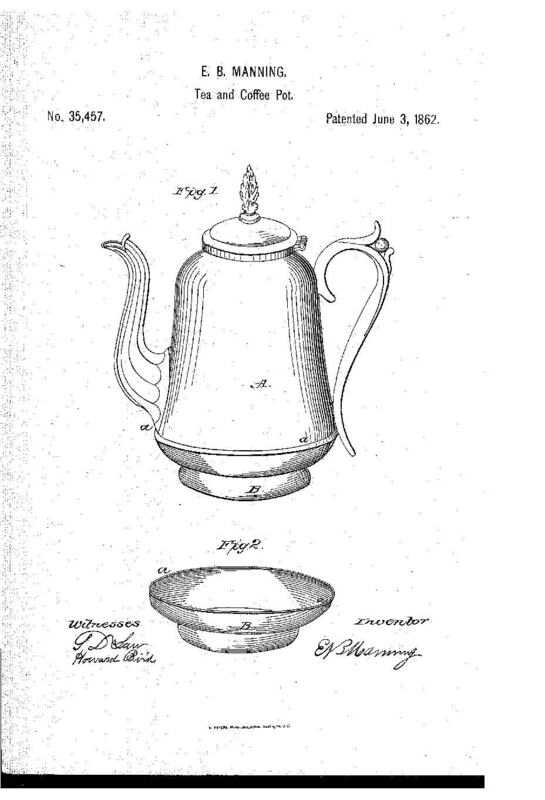 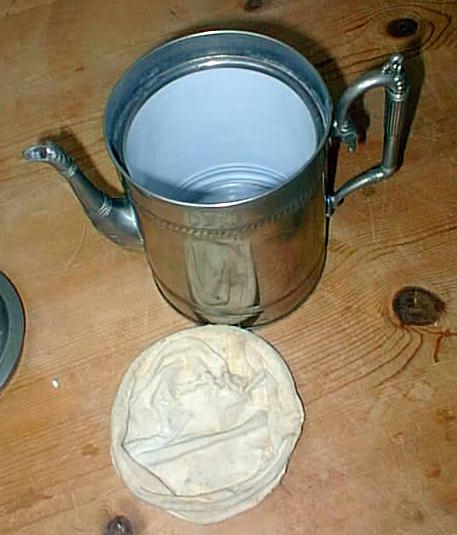 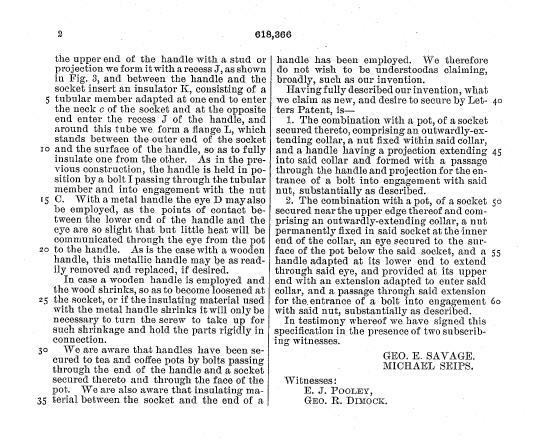 This Manning Bowman patent was for for how the handle was attached to the pot.